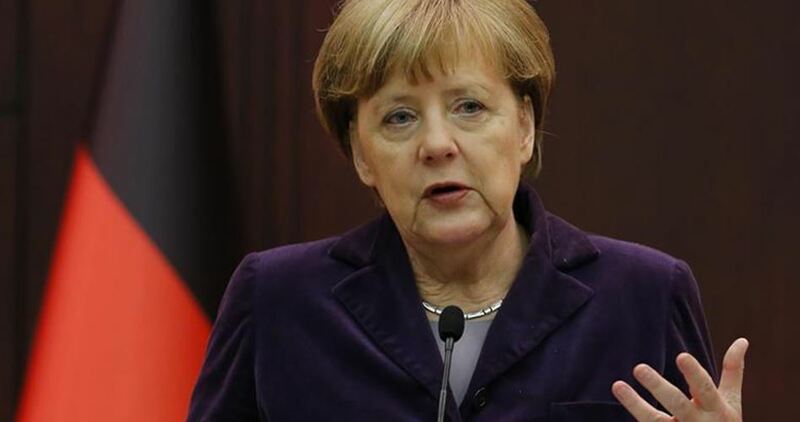 German chancellor Angela Merkel said she might cancel her trip to Israel if a Bedouin Palestinian village in the occupied West Bank is demolished by Israeli forces, Israel’s Army Radio has reported. Merkel and a number of her ministers are scheduled to arrive on Wednesday evening for yearly meetings with Israeli prime minister Benjamin Netanyahu and his cabinet. Overshadowing the visit is the expected demolition of Khan al-Ahmar, a Palestinian village located between two Israeli settlements of Kfar Adumim and Ma'ale Adumim. The Israeli occupation authorities gave the village, home to some 180 Palestinians, until 1 October to demolish their homes themselves. The projected destruction of the village has sparked international uproar and demands for Israel to cancel the plan, which the United Nations has termed a “grave breach of international law”. On Tuesday Palestinian children in Khan al-Ahmar staged a protest urging Merkel to save their homes and their school. A spokeswoman for the German embassy in Tel Aviv told The Times of Israel that “a cancellation was not considered at any point in time”. However, Israeli ministers responded angrily to the reports. 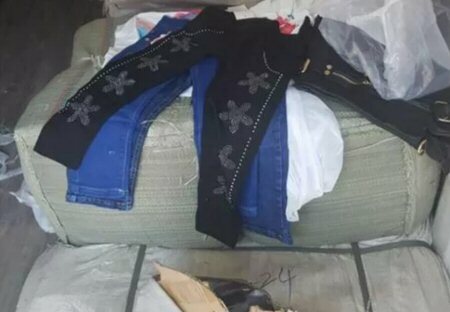 “If this is true, it’s a blatant, serious, and dangerous intervention,” Economy and industry minister Eli Cohen said. “Israel is a sovereign state with a strong and independent court, and we’ve long since ceased to be a tool to salve the conscience of the Europeans,” he added. An Israeli court ruled in September that the Bedouin tribe, who were originally displaced from the Negev Desert in the 1950s, had built their homes without permits. Human rights groups have condemned the decision, saying it is impossible for Palestinians to obtain the building permits in the Israeli-controlled areas of the West Bank known as Area C.
United Nations officials believe the village is being cleared to make way for the expansion of Israeli settlements, illegal under international law. A heavily-armed Israeli patrol broke at daybreak Wednesday into al-Amari refugee camp, in Ramallah, and took the dimensions of a Palestinian prisoner’s family home, pending the demolition of the building. Israeli soldiers showed up in al-Amari at the crack of dawn and attacked Palestinian locals with heavy spates of bullet fire and teargas, before they took the measurements of the Abu Hamid family home on allegations that their son killed an Israeli soldier on May 26, 2018. Palestinian anti-occupation youth responded to the assault by tossing stones, Molotov cocktails, and empty bottles at the occupation troops. The Israeli military kidnapped Islam Abu Hamid, aged 32, from the Amari refugee camp, claiming he was suspected of throwing a marble slab at an Israeli patrol in the camp, leaving a soldier dead. Large forces of Israeli police on Wednesday morning besieged Khan al-Ahmar village, east of Occupied Jerusalem, in preparation for its demolition after the time limit given to the families to demolish their own homes ended. According to local residents, several military vehicles have arrived in the village since the early morning hours and surrounded the Bedouin community 48 hours after the expiration of the time limit given to the village's residents. Khan al-Ahmar families were given a one-week period that ends on 1 October to demolish their homes by themselves. 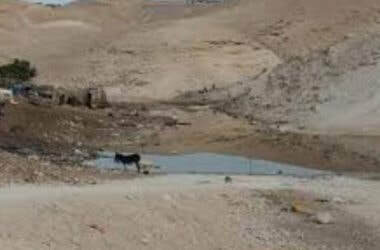 Otherwise, the village will be demolished by the Israeli authorities based on a court decision issued in August. Israel's Supreme Court had rejected a petition filed by the Palestinian families of Khan al-Ahmar against their eviction and forcible transfer in favor of new settlement projects in the area. 1 October 2018, 12:15 UTC: AMNESTY International – Monday’s planned demolition of a West Bank village and forcible transfer of its residents to make way for illegal Jewish settlements is a war crime that lays bare the Israeli government’s callous disregard for the Palestinians, Amnesty International said today. Some 180 residents of the Bedouin community of Khan-al Ahmar, east of Jerusalem, face being forcibly evicted and transferred by the Israeli army. 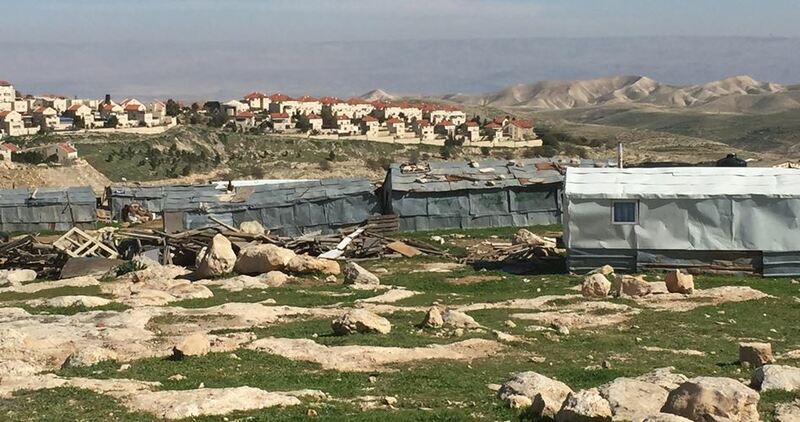 The Israeli authorities have offered the villagers a choice of two possible destinations: a site near the former Jerusalem municipal garbage dump, near the village of Abu Dis, or a site in the vicinity of a sewage plant close to the city of Jericho. “After nearly a decade of trying to fight the injustice of this demolition, the residents of Khan al-Ahmar now approach the devastating day when they will see their home of generations torn down before their eyes,” said Saleh Higazi, Deputy Director for the Middle East and North Africa at Amnesty International. Khan al-Ahmar, home to the Jahalin Bedouin tribe, is surrounded by several illegal Israeli settlements. For more than 60 years, members of the tribe have been struggling to maintain their way of life. Forced from their lands in the Negev/Naqab desert in the 1950s, they have been continually harassed, pressured and resettled by successive Israeli governments. In late August 2017, Israeli Minister of Defence Avigdor Lieberman announced that the Israeli government would evacuate the entire community within several months. Israel’s Supreme Court has twice ruled in favour of demolishing the entire village of Khan al-Ahmar, first on 24 May 2018 and again on 5 September 2018, following a desperate appeal by the residents of the village. The demolition order includes the village’s school, which is constructed from rubber tyres and provides education for some 170 children from five different Bedouin communities. Israel’s policies of settling Israeli civilians in the Occupied Palestinian Territories, wantonly destroying property and forcibly transferring Palestinians living under occupation, violate the Fourth Geneva Convention and are war crimes listed in the statute of the International Criminal Court. Since 1967, Israel has forcibly evicted and displaced entire communities and demolished more than 50,000 Palestinian homes and structures. On 30 September, Amnesty International, alongside Jewish Voice for Peace, launched a Twitter storm targeting the Coordinator of Government Activities in the Territories (COGAT), an Israeli Defence ministry unit responsible for implementing government policy in Area C of the West Bank, ahead of the planned demolition on 1 October. Illegal Israeli colonialist settlers flooded the al-Khan al-Ahmar Bedouin Palestinian community with Sewage water, in an attempt to force the inhabitants to leave their Dwellings, just as the ultimatum set by the Israeli court for their displacement went into effect, Monday. Abdullah Abu Rahma, a senior nonviolent activist and the head of Save al-Khan al-Ahmar Campaign, said both the Israeli soldiers and the colonialist settlers are constantly increasing the suffering of the Palestinians, and continuously violating their rights, even their very existence, in order to remove and displace them. Abu Rahma said the assailants, from Kfar Adumim illegal colony, flooded the community with Sewage water, in yet another means of assaults and violations against nearly 200 Palestinians, including children. He also called for increasing the support and solidarity with the Bedouin community, to foil the illegal Israeli plans of displacement, and replacing the Palestinians with illegal colonialist settlers. Eid Abu Dahouk, the mayor of al-Khan al-Ahmar, said that “by flooding the community with sewage, the colonialist settlers are engaging in a new form of war against the inhabitants. 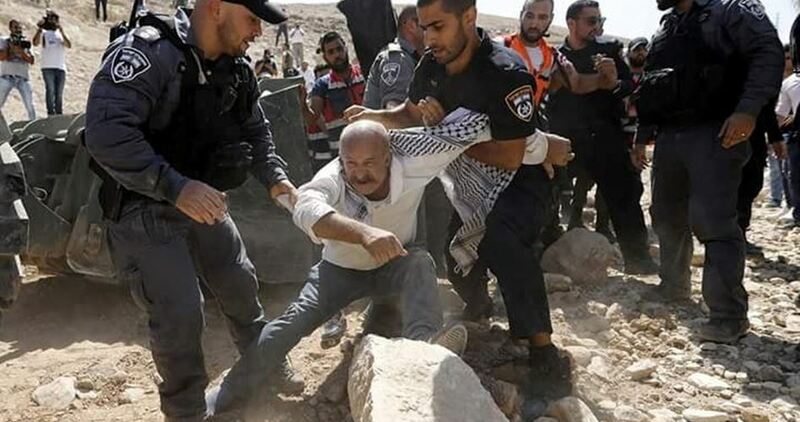 He warned of the grave consequences, and health risks resulting from this serious violation against al-Khan al-Ahmar, especially the children, in addition to the livestock, the only source of livelihood of the families. 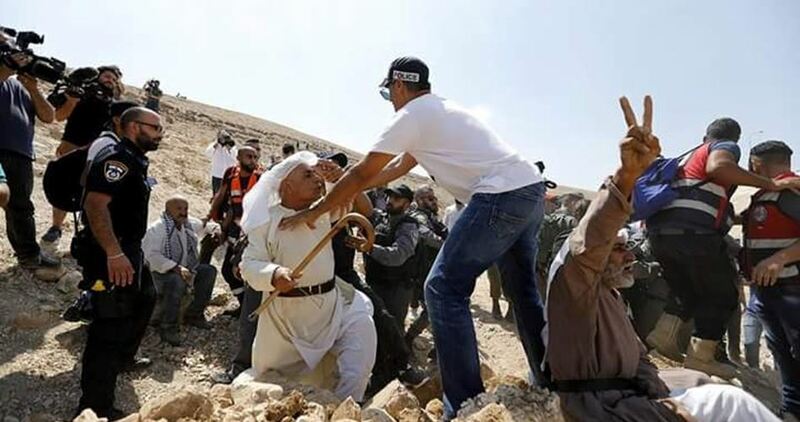 The Palestinians, along with international peace activists, are ongoing with their nonviolent protests in al-Khan al-Ahmar, despite the constant assaults, violations and threats of forceful eviction. 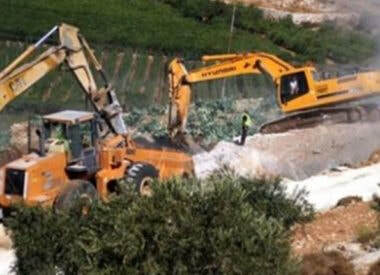 Many illegal Israeli colonists invaded, on Tuesday at dawn, Palestinian agricultural lands in Khirbat Lafjan area, east of Aqraba village, south of Nablus in the northern part of the occupied West Bank, and uprooted dozens of trees. Ghassan Daghlas, a Palestinian official who monitors Israel’s colonialist activities in northern West Bank, said the assailants came from Itamar illegal colony, which was built on Palestinian lands. He added that the colonists bulldozed and uprooted more than 200 Dunams, owned by members of Sbeih and al-At’out families. Daghlas also stated that Israeli soldiers were present near the area, but did not attempt to stop the attacks. It is worth mentioning that the army has recently informed the Palestinians that their lands “are owned by the state,” and will soon be used for military training. 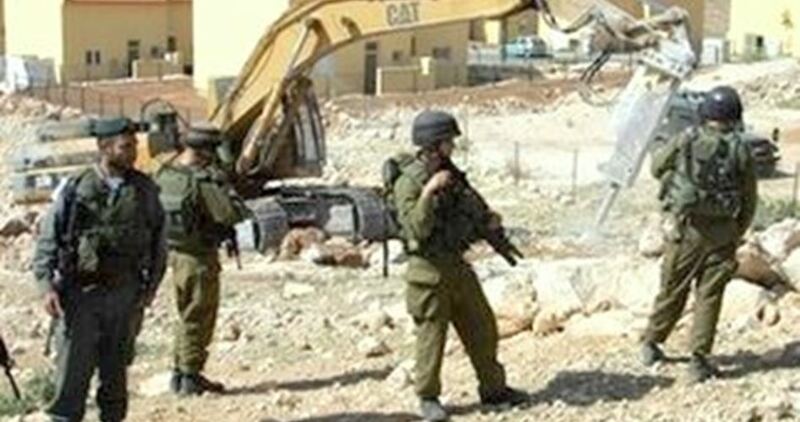 Israeli bulldozers overnight on Monday leveled Palestinian lands on the outskirts of Kafr Kalil town, south of Nablus, at the same time as army patrols were deployed in and around the area. Speaking with PIC, eye-witnesses said an Israeli troop escorted by a bulldozer razed Palestinian lands in Kafr Kalil’s southern corners. 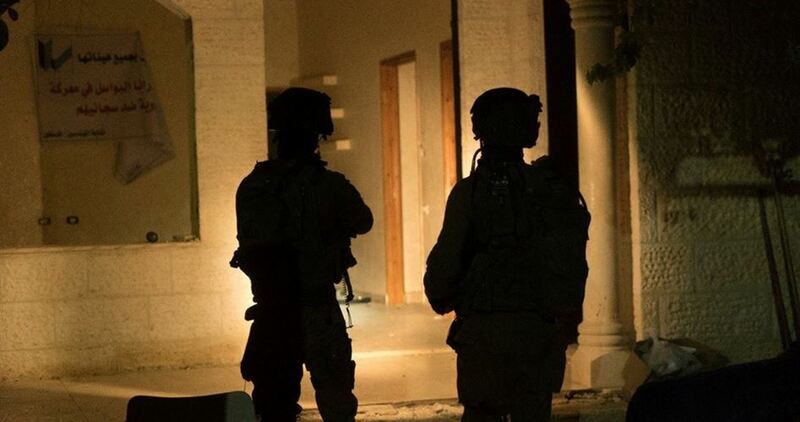 The Israeli occupation authorities allegedly updated Palestinian Authority police on an underway security event in Kafr Kalil and the nearby Rujeeb town, where heavily-armed Israeli soldiers were stationed. The locals raised concerns that the occupation forces would grab hold of the targeted land lots in favor of illegal settlement projects. Israeli bulldozers continue to level Palestinian lands west of Salfit province, in the occupied West Bank, in favor of illegal settlement expansion. 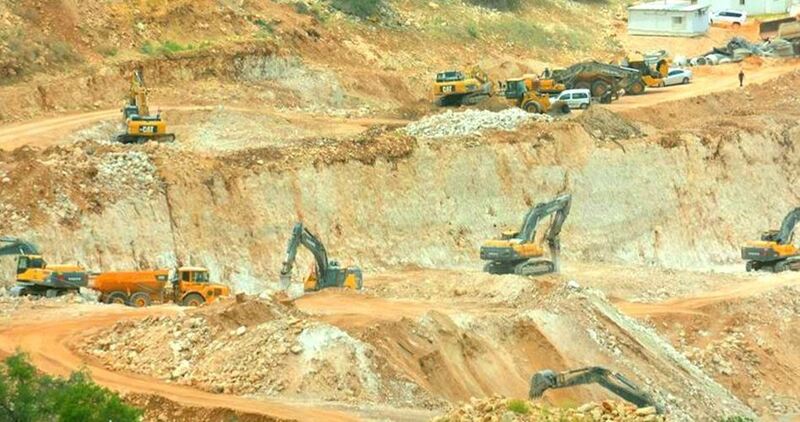 Eye-witnesses told the PIC that Israeli bulldozers and excavators rolled into Salfit and razed Palestinian land tracts in Batn al-Hamam area, west of Salfit. The move makes part of an Israeli plan to expand the industrial zones in the area. Researcher Khaled Maali sounded the alarm over the damage s wrought by Israeli settlement projects in the area, which he said contravene international laws. The Israeli occupation authorities are expected to evacuate the Khan al-Ahmar Bedouin community, near Kfar Adumim, sometime next week. According to Israel Hayom newspaper, the Israeli army handed over the notification, issued by Israel’s Civil Administration, to the residents, ordering Palestinians living in the area to leave their homes by October 1. The notification was green-lighted by Israel’s Supreme Court. Civilians were ordered to self-demolish their homes. Otherwise, the demolition will be carried out by the occupation authorities.